Using laser cut technology these models simulate concrete tunnel portals used by the B&O, C&O, SP and D&RGW railroads. The models use multiple layers of various thickness acrylic and other materials to create accurate prototype based renditions of the actual tunnels. Price listed is for one portal kit. To model both ends of a tunnel, you will need two portals. In some cases, the prototype portals on a tunnel are different, so please be careful when selecting the portals you want. If you want a tunnel portal in a different scale such as Z, S, or O please contact us for pricing and availability. DRGW Tennessee Pass Tunnel Portal kit includes the wooden shed on the south portal. The north portal is similar but omits the shed. 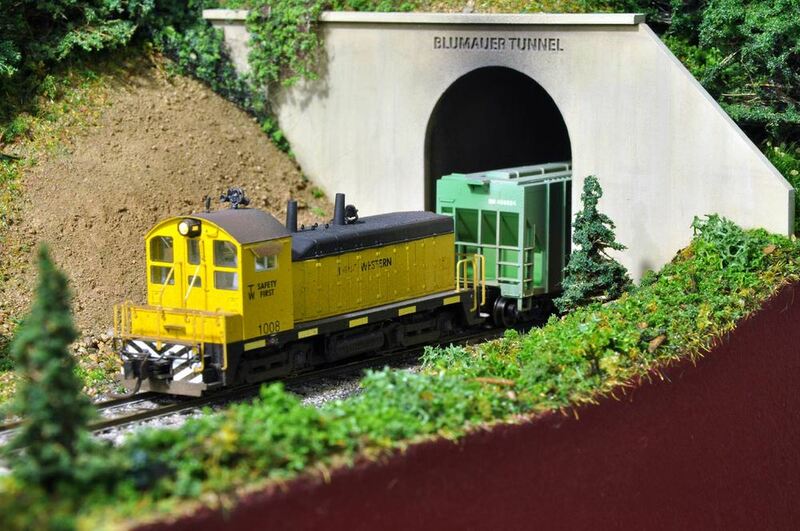 Please specify the desired number for the DRGW Single Track Tunnel with number when ordering.